Fuel service stations are getting the normal supplies of a combined eight million litres daily, but panic buying by motorists in anticipation of a price increase and the festive season have meant that queues continue to exist, a Cabinet minister has said. 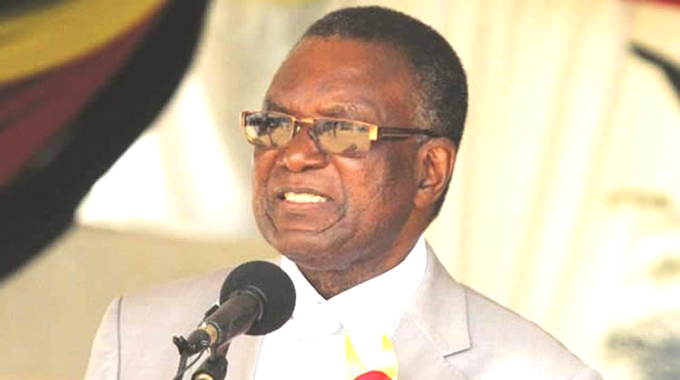 In an interview yesterday, Energy and Power Development Minister Joram Gumbo indicated that there were enough fuel stocks at Msasa fuel depot, and there was no need for motorists to panic. “There is an unprecedented demand of fuel in the country,” he said. “What baffles me is fuel companies are getting the normal supplies, but there are unending queues. The queues are, however, evidence that there is indeed fuel in the country. Dr Gumbo said there was sufficient fuel in the country at Msasa and Mabvuku depots, but the fuel comes into the country bonded and is only accessed after producing foreign currency. He said the demand may have been fuelled by the anticipation of a price hike, farming season preparations and the festive season. As of yesterday, long winding queues could be seen at filling stations in Harare’s central business district as fuel tankers continued to make deliveries. Some fuel service stations were without fuel, while others had resorted to rationing. The situation is expected to ease after Government released US$60 million on Friday towards procurement of fuel to mitigate current shortages. Some unscrupulous fuel dealers are charging more than double the gazetted pump price. Last Friday, Information, Publicity and Broadcasting Services Deputy Minister Energy Mutodi said the availed funds would improve supplies considerably. “Government has released some funds towards alleviating the current crisis which, however, will require constant monitoring as the US$60 million released will only last three weeks given the country’s US$20 million per week fuel requirement,” said Deputy Minister Mutodi. The country is constrained in terms of foreign currency, while there are many competing demands on the available foreign currency. Government has several instruments in place with fuel suppliers such as Sakunda Holdings, Independent Petroleum Group (IPG), Glencore, Engen and Total. Last week, Finance and Economic Development Minister Professor Mthuli Ncube said Government was arranging enough financing for the supply of fuel and the temporary stockouts in the country will end in the next few days. This must be a very educated minister, but I will help him just in case. Mr Minister there can be said to be enough fuel when you are able to drive up to the pump and fill as much as you want without waiting in line. Short of this means there is not enough fuel. Of course there is enough. You have just made a mistake in reading the fuel guage. On one side of the gauge is “E” and the other “F”. We all know E stands for enough and F for finish. My chaffeur explained this to me. For the first time I decided to have a feel of queuing up for fuel instead of sending my security team. Guys it was bitter sweet. The time out of office, chatting, laughing, the hot sun, cool breezes and the patience training. I enjoyed the outing but I wouldn’t love to repeat it anytime soon. The people have learnt to find joy under phenomenally challenging situation. God bless you all Zimbabweans. Min of Fuel buckle or we kick your ace up! Is “Jerry Can ” Gumbo living in cuckoo land or just plain stupid ? Why does he not go and join a fuel queue rather than send his driver to CMED to fill up his Range Rover as and when he needs. Every time JG says there is enough fuel in the country , then you know there is no fuel at all. This is a crazy country. This is arrogance at its best!! I see this information comes from the Herald. The first Editor of the Herald after ZANU bought the newspaper, Tommy Sithole, was asked why he published reports that he knew were lies. He replied that it was his duty to report minister’s statements verbatim. The Herald is simply the propaganda arm of ZANU-PF. Nothing more or less. Only the ZANU-PF base and the gullible put any stock in the Herald as a legitimate news source. The rest of the world shakes their heads and laughs at the nonesense, and wonders why they even spend the money for the ink.